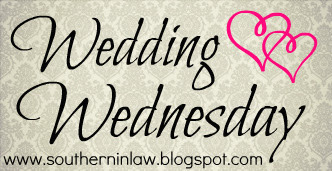 It's Wedding Wednesday again! This week, I'm talking flowers! I love flowers. Which is odd, because if you ask any of my family or friends, they'll tell you not to buy me them - unless they're planted in a pot. Why? because to me as a frugalista, flowers just don't seem worth it. Lets be honest - they die. On my wedding day, however, that's a different story. I'm willing to splurge a bit on flowers - even though they will die. (and no... I will not be saving my wedding bouquet to be dried and put on display in my home - I saw that at the wedding expo and that just looks all kinds of creepy). I'm a pink girl, I always have been. By that I mean that I have everything pink. My room is pink (and yes, Jesse actually likes it because it's not "girly pink"), my iPad case is pink (and all my clients comment on it), my planner is pink, my mugs are pink, I have pink pants - pretty much if something comes in pink, I'll be more inclined to buy it. As a pink fan, you'd think that I'd be looking for pink bridesmaid dresses and wedding accessories - but that's not the case! I think pink is overused at weddings, so even though it's my favourite colour, I plan on keeping pink to a minimal - but including pink flowers in my bouquet is looking like a good plan! 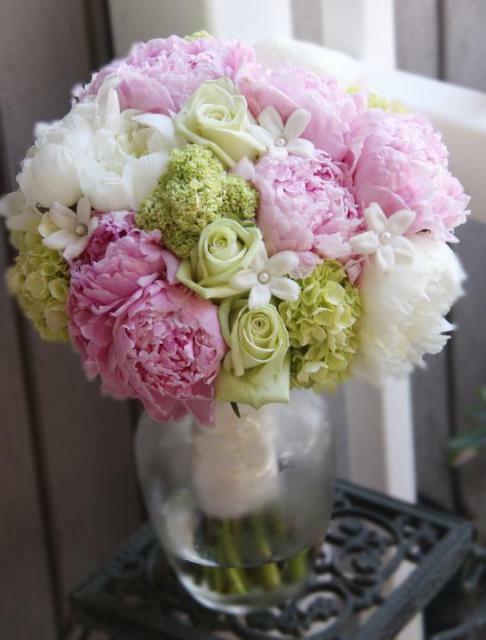 I love the mix of pinks, greens and whites in the flowers above - and that's definitely something I'll be looking for. So tell me, what's your favourite colour? If you're married - was that one of your wedding colours? If no - will it be? I used to have a pink bed.... i think that's what repulsed me from pink since I never wanted that bed... I wanted the bed with the stero but my parents insisted on the pink pricess one. urgh. You're right - it is hard to get bright coloured bouquets to not look tacky at all - often times I think baby pinks don't work, but when paired with the other colours it does!